Stress is a powerful emotion. It has a unique ability to place a mask of negativity over our daily tasks. For a family caregiver, stress is a common mask that can alter your ability to see the joy in caring for your loved one. Conquering the stresses of family caregiving may seem impossible, but it is possible to try. Here are a few things to consider as you work toward a more stress-free caregiving role. Research your loved one’s physical and medical situation(s). The Office on Women’s Health suggests reaching out to a local hospital for caregiving classes. Many hospitals educate caregivers on how to better care for their family members. The classes may provide information on how to specifically tend to certain illnesses and injuries and provide safety tips. To find these classes, ask your doctor, call your local Area Agency on Aging for the Chattanooga area or contact Southeast Tennessee’s Area Agency on Aging and Disability. In addition to research, seek free available resources such as AARP’s Local Caregiver Resource Guides. These guides offer direct services such as help with the home, adult day care, social services and support groups. 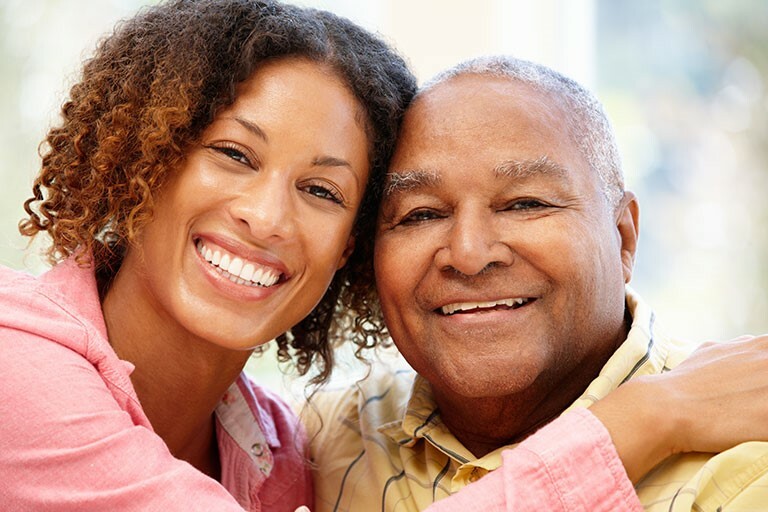 Consider joining AARP’s online caregiving community forum, which allows you to connect with caregivers across the U.S. The forum offers a place where you can seek and give advice, express concerns and find a laugh. An example of an informative post from this forum is, “How to Choose a Medical Alert System,” which provides a helpful collection of personal comments on how to wisely choose an alert system for your home. Connect here, educate yourself and discover that you are not alone in your caregiving struggles. Your community and family members can be there for you, but you have to let them. You are not burdening others with your requests for help. Call upon others for assistance in preparing meals, doing yardwork, running errands or transporting your loved one. Seek out adult day care services, respite services or friends and family members to give you a break from your duties. Grab coffee during these breaks, or do something fun such as seeing a movie or taking an art class. If you’re unsure of where to find these services, contact The National Eldercare Locator, a service of the U.S. Administration on Aging. Allowing a neighbor or close friend to watch your family member for 30 minutes to an hour a few days a week can give you a much needed break. They can even run a few errands for you. Let others help you find time to breathe. Exercise: It is important to engage in a motion-oriented hobby. The Family Caregiving Alliance stresses the importance of caregivers getting exercise because it promotes better sleep, reduces tension and increases energy. Contrary to popular belief, exercise does not require a gym! Go for a walk, even if it’s just for 20 minutes. If it’s raining, head to the mall for a stroll. Try gardening, hiking, cooking or yoga. If you desire company, ask others to engage in these activities with you. Rest: With a lack of sleep comes angst, depression and negative emotions. According to Freudenthal Home Health, when trying to balance the many responsibilities of life and caregiving, sleep is one of the first areas that suffers. Finding a calm place to sit silently and reflect or pray is a simple way to find rest. With a lack of rest comes increased levels of stress. Conversely, increased rest brings alertness and better care for your family member. Listen: Although it isn’t wise to always obey them, sometimes it’s important to listen to your emotions. The Family Caregiver Alliance suggests: “Our emotions are messages to which we need to listen. They exist for a reason. However negative or painful, our feelings are useful tools for understanding what is happening to us. Even feelings such as guilt, anger and resentment contain important messages.” Safely allow your emotions to educate you; then seek to overcome them appropriately. One way to take action at home is to post motivational quotes throughout the residence. If you’re a reader, dive into some inspirational literature! Words can be simple in form, yet powerful in message. You may also want to consider joining The Family Caregiver Alliance’s Caregiver-online support group. Connecting with other caregivers can offer needed emotional support and affirmation. Emotionally self-evaluate and observe whether or not your intentions in caregiving are pure. If not, reevaluate. It’s easy for caregivers to think, “I could be putting my time to better use,” or “I am not appreciated for taking care of him or her,” etc. Adjust your thoughts. You are helping sustain the life of a loved one and are equipped to bring them joy! It’s important to remember that you can only change yourself; you cannot change another person. You have the ability to reevaluate your caregiving methods and ask, “What can I change?” Consider these tips to overcome the mask of stress. Remember: conquering the stresses of family caregiving may seem impossible, but it is possible to try.